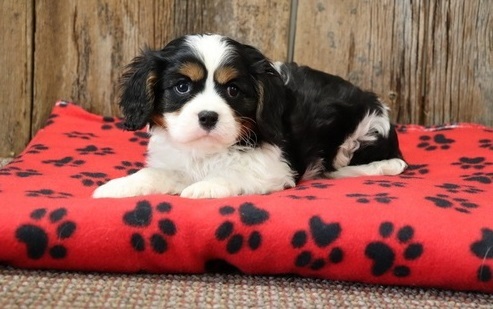 Description :Beautiful litter blenham cavaliers looking for there forever homes .Parent D.N.A. Tested. Puppy pad trained. FULLY VACCINATED. Ready to go now. vet checked upto date with all flea ,worming treatments . Very well socialised kept in home excellent with children and all other animals .paper trained.Insured with pet plan . Come with health sheet , Feeding plan , Puppy pack , micro chipped. And you can ring me anytime for help and support settling them into there new homes and thought there life.